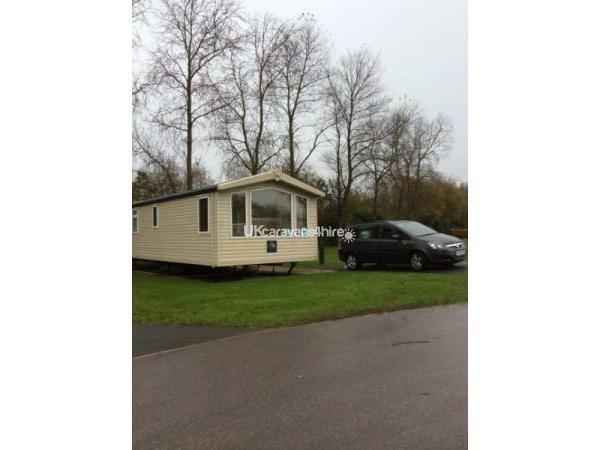 A £100 non refundable booking deposit is required at time of booking and £ 100 damages/breakages bond is required before holiday commences and this will be returned within 14 once caravan has been checked. Full total of holiday to be paid in 8 weeks before holiday commences. 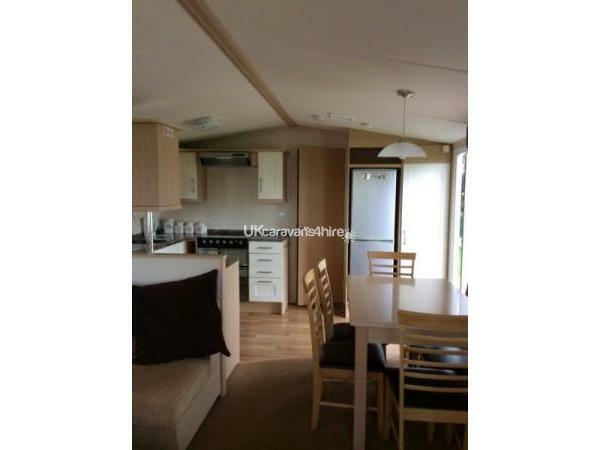 Modern Swift Moselle caravan located in quiet location in Mentmore at Hopton Holiday Village offering all your home from home comforts. Central heating and double glazing. TV/DVD player. 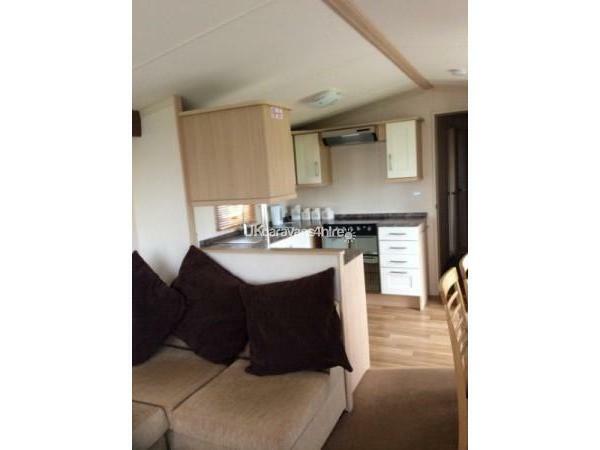 Our caravan is very spacious and light with open plan lounge/kitchen with everything you need with added luxury of a washing machine. 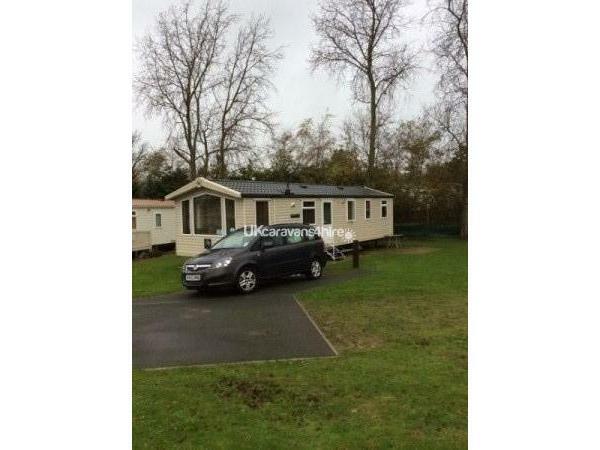 Our caravan is on a quiet location on Mentmore which has a lovely green open space near to the caravan and has tarmac parking and patio area with table and chairs. Lounge has a TV/DVD player (please bring your own DVDs if you wish). 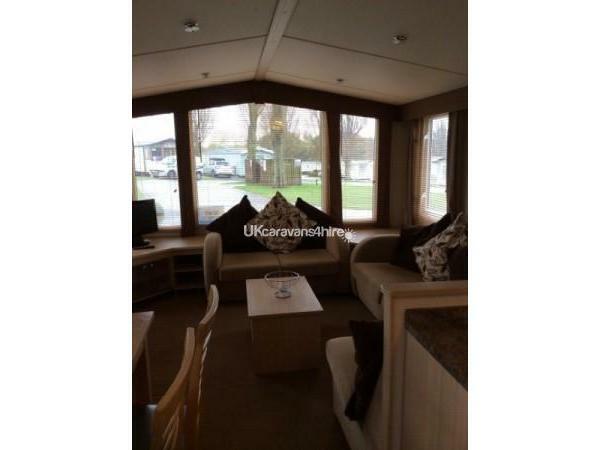 It has comfy sofas, coffee table and gas fire. Dining area has chairs for up to 6 people. Kitchen is well equipped with fridge/freezer, toaster, microwave, kettle plus all other kitchen basics. 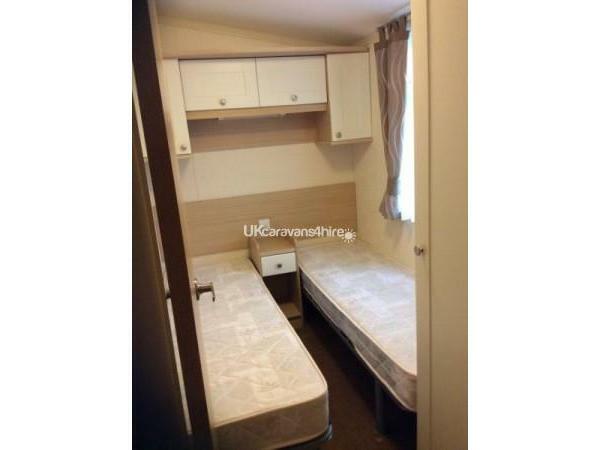 Main bedroom has double bed, wardrobe, 1 chest of drawers and 2 bedside cabinets and a dressing table and stool. There are 2 twin bedrooms (beds can be put together to make a double if you prefer) and a bedside table as well as wardrobe and overhead storage. There is a bed guard available for younger children. Also there is a family bathroom with large shower, hand basin and toilet. 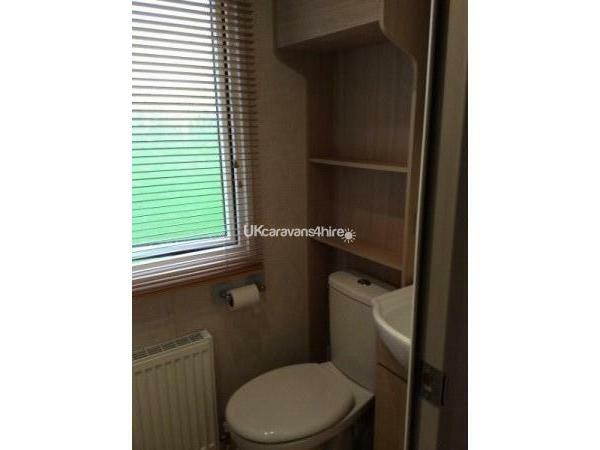 There is an additional bathroom with toilet and hand basin. 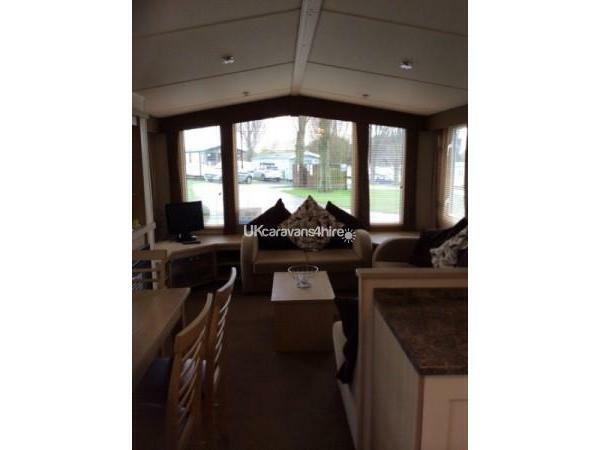 We have a patio are to the side of the caravan and patio chairs, loungers and table for you to use. A few buckets and spades are there for you to use if you wish. Outside the caravan we have green space for you to enjoy on those sunny days with the family and enjoy a barbecue on those great summer evenings. 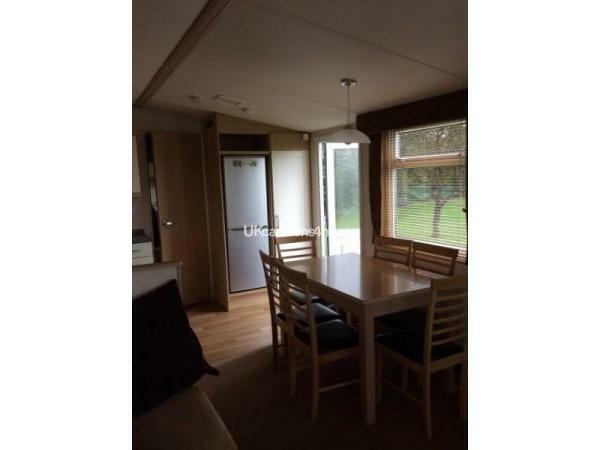 Our caravan is in a lovely location and is safe and fun for children yet only 5 minutes walk to the beach and the main complex. There is a lot for families to do on site for all ages (fun works passes required for many of the sites facilities, under 4s are free). Haven offer activities and entertainment daily so there is plenty to entertain you and your family throughout your holiday. 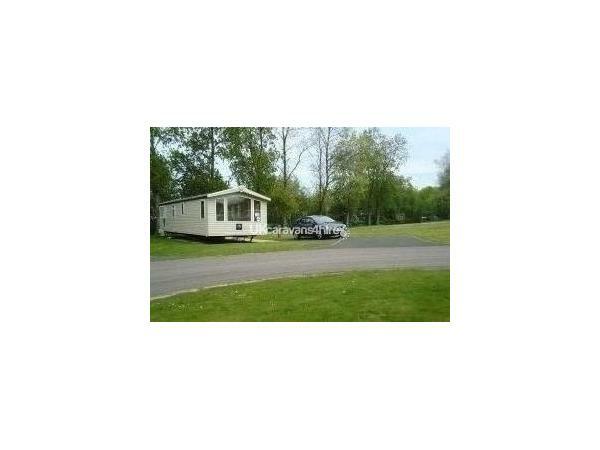 Our caravan is ideally placed with a 5 min walk to the beach and same distance from the entertainment. Gorleston beach is a superb family beach which can be accessed from Hopton beach should you wish to walk there ( about 45 mins). There are Theme parks near Hopton Holiday Village such as Pleasurewood Hills, Great Yarmouth Pleasure Beach. Gorleston Beach is a fantastic child friendly, sandy beach which you can walk from Hopton Beach to. Hopton has it's own beach with coves also for you to enjoy. Many other places nearby to visit are Fritton Lake, Africa Alive and you also have the Norfolk Broads which would be,recommended. We are flexible with dates but mainly offer 4 and 7 night breaks (Mon to Fri and Sat to Sat). We als offer 3 night breaks. Please check availabilty. If dates are not shown that you would like please message me as some weekends and other dates available for hire. We ask for a £100 non refundable booking deposit at time of booking and a £100 damages/breakages bond which will be returned within 14 days at the end of your stay once caravan has been checked. Holidays to be paid in full 6 weeks before holiday commences (unless late booking). Beds will be made up upon arrival for you. 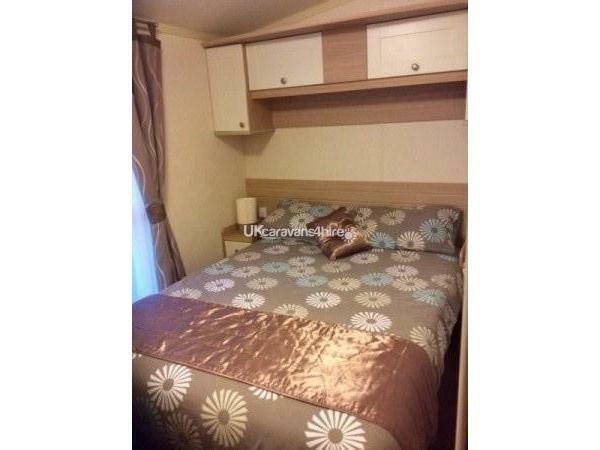 Caravan is cleaned by ourselves to ensure that it is perfect for you. 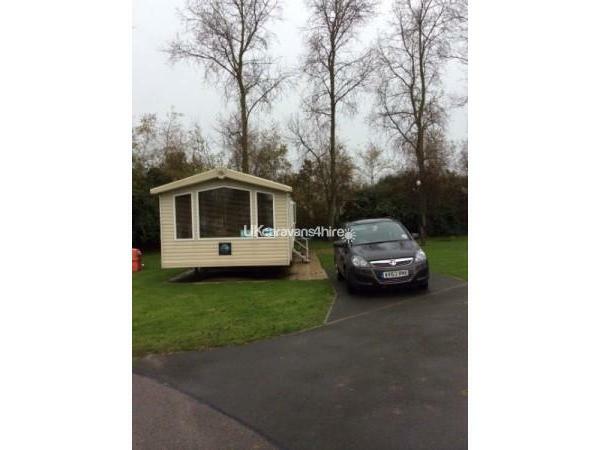 A few games will be left at the caravan for you to use for those unexpected raining days and also a range of DVDs. Additional Info: Go karts, football, inflatables, bingo, live entertainment. Various children's play parks, duck pond, beach.